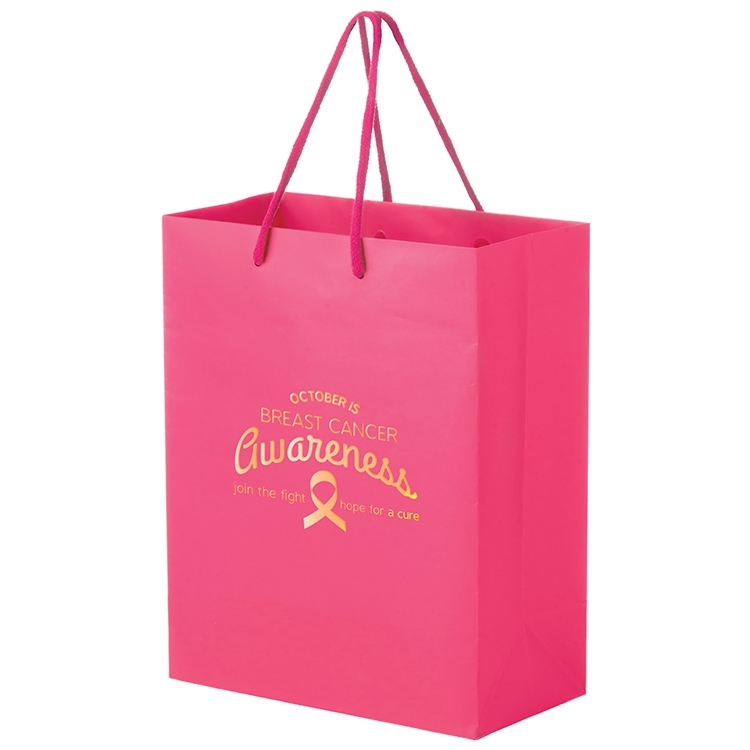 This matte laminated eurotote is the perfect bag for any breast cancer awareness benefits, fundraisers, etc. 100 per case @ 16 lbs. • Price includes 1st foil color/location run charge. • Maximum Artwork Imprint Area: 5" wide x 5" high on each side. • Maximum 2 foil colors on each side. • When printing two foil colors, there must be at least 1/4" of space between colors throughout the artwork.